DNMark.com is an excellent home for all Drupal-based web sites. We offer an automatic Drupal installation directly at signup, enterprise-level servers and a 24/7/365 client support service. You can order a Drupal-optimized web hosting plan together with a domain for only $2.75 a month. 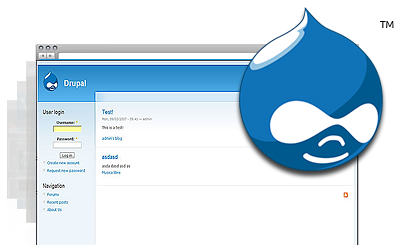 All Drupal hosting accounts feature a thirty-day money-back guarantee. Drupal™ is a trademark of Dries Buytaert and shares no affiliation with DNMark.com. Drupal web hosting made simple with DNMark.com! DNMark.com satisfies all criteria for hosting Drupal-powered websites. DNMark.com offers an excellent client care service. The average trouble ticket response time is about twenty minutes.